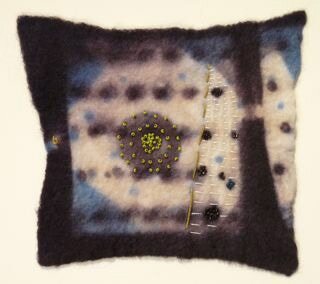 Formerly an interior designer, Jan now expresses her love of textiles by dyeing, printing, quilting, stitching and beading fabric. 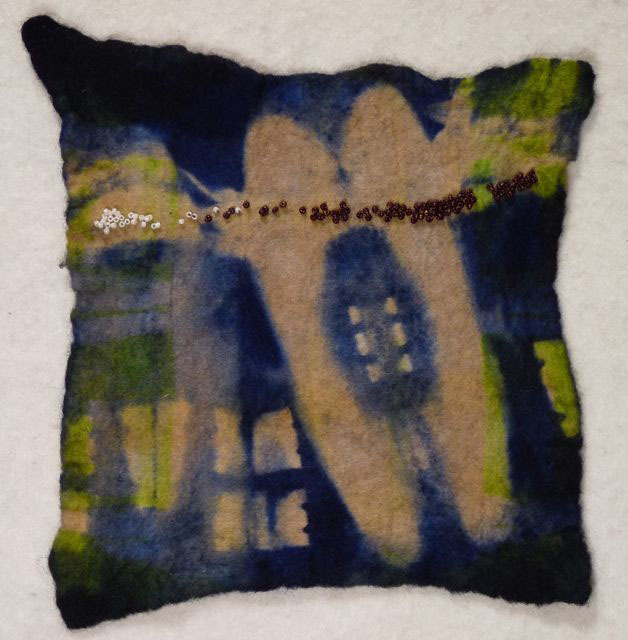 Her most recent work combines monoprints on silk and cotton using quilting and applique techniques. 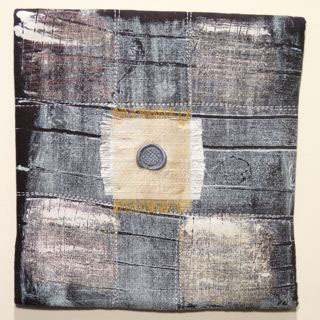 Free-motion machine quilting and hand stitching add marks and contrast to the fabric. 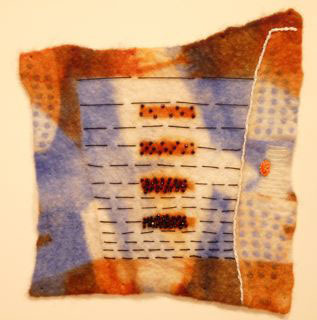 Her other work begins with merino wool that is felted and then resist-dyed in at least 3 different colors. 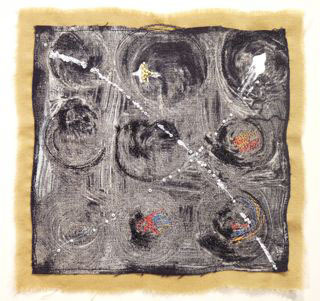 This gives each piece a unique patterning, a "guided serendipity". These are embellished with hand-stitching and beadwork.